For my birthday Erin, and my teacher took me out to this new Greek Restaurant in town. 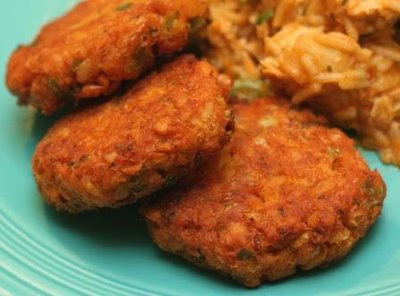 There I discovered chickpea cakes. Yummy! These cakes were so delicious I couldn't wait to find a recipe online for me to recreate. I came across the Vegan Dad blog site. Click on the link to get the recipe. I can't wait to make these myself. Happy eating!